Dangerous Beauty? 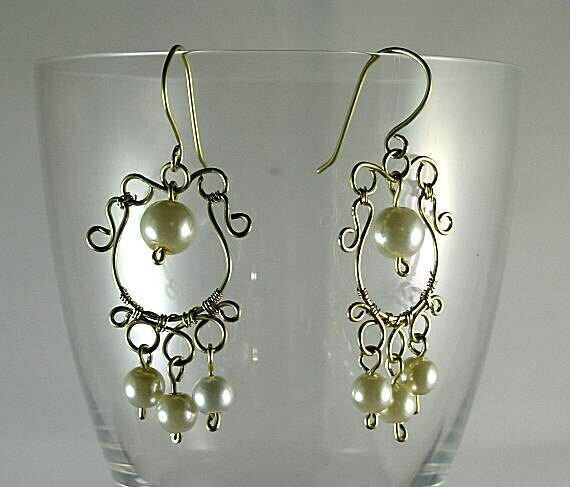 Whether you are a saint or a sinner, these earrings will serve both purposes for your prom, wedding, ball or court. 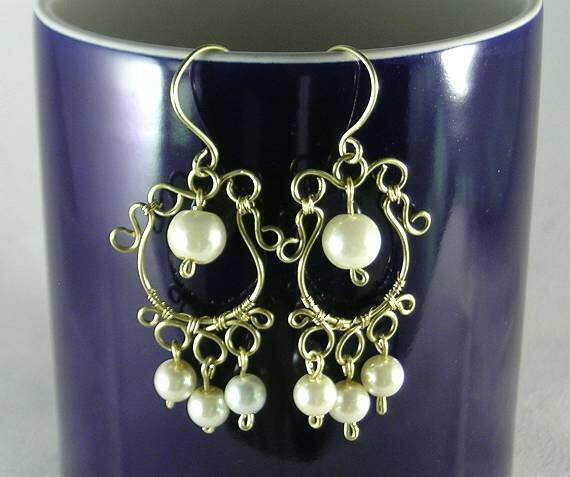 Handmade of bronze jeweler's wire, these beauties have delicate curves with a large 8mm pearl hanging in the center. 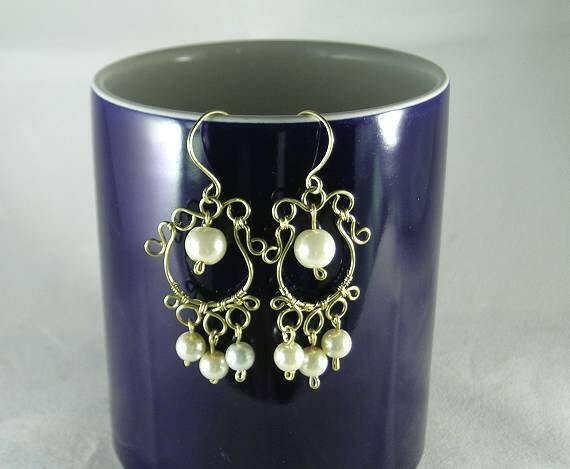 Three 6mm pearls grace the bottom scroll and move freely to capture everyone's attention. The pendant is approx 1" wide and 1 1/2" long. Overall the earring is slightly over 2" including the handmade ear wire. Available in other metals (including sterling silver) as a custom order.